I haven’t had the urge to do any serious shopping, lately. However, I did find myself in the vicinity of my favorite vintage clothing shop in Charlotte, Hong Kong Vintage Clothing located at 2005 Central Avenue. While I was browsing inside the store, I came across this piece. 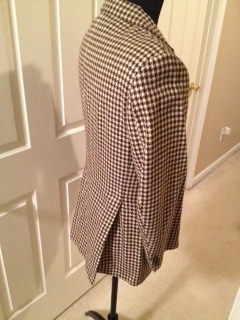 It’s a vintage chocolate and cream houndstooth blazer with wide lapels, slanted pockets, and double vents. 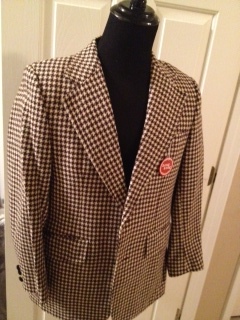 In other words, VINTAGE DOPE!! 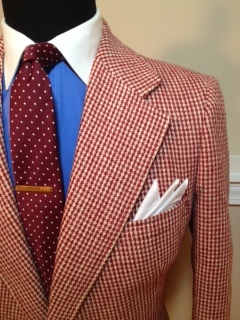 Please visit the online menswear boutique at your earliest convenience. 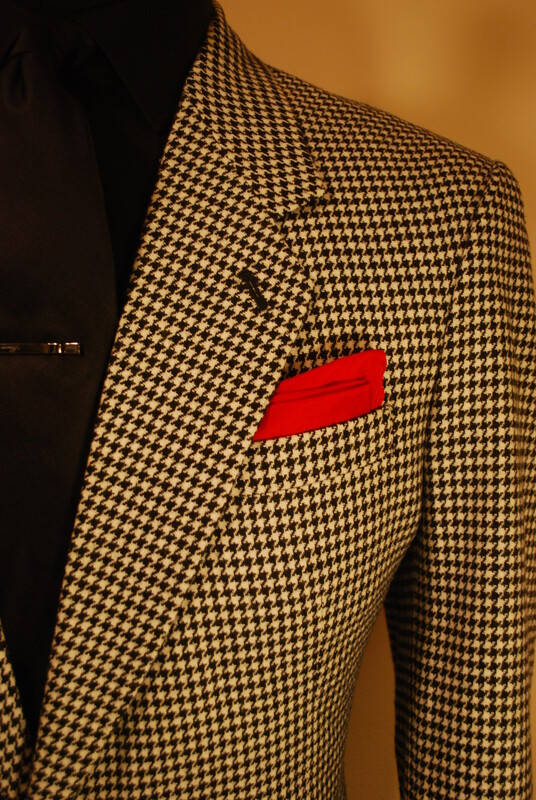 This entry was posted in Vintage Dope and tagged Charlotte Style, Hong Kong Vintage Clothing, houndstooth blazer, houndstooth sport coat, Mens fashion, mens style, Menswear, Vintage Blazer, Wilbur Dow by wilburdow. Bookmark the permalink.